Across Mesoamerica today, you can find sprawling ancient cities with towering pyramids, ballcourts, saunas, monumental sculptures, and enigmatic hieroglyphs—all thanks to the Maya. Here are 15 things you might not know about this ancient civilization. 1. THEIR PYRAMIDS AND CITIES ARE STILL BEING DISCOVERED. It’s amazing to think that something as large as a pyramid could elude archaeologists today. But it was only a few years ago that a Maya pyramid more than 1000 years old was discovered at Toniná in the Mexican state of Chiapas. It had been hidden under what was believed to be a natural hill. In 2015, researchers said this newfound monument was actually Mexico’s tallest pyramid at 246 feet (75 meters) in height, surpassing the 213-foot Pyramid of the Sun at Teotihuacan. The ruins of two Maya cities concealed by thick vegetation were also recently discovered in Mexico’s state of Campeche. 2. THEY WERE CHOCOLATE EATERS. Over 3500 years ago, the Olmecs of Mesoamerica became probably the first to realize that with some work you could consume chocolate, but the Maya turned it into an art form. Archaeological evidence suggests the Maya were processing cacao at least 2600 years ago; the chemical signatures of cacao have been found in Maya ceramic vessels in Guatemala that date back to 600 BCE. But the drink they produced wasn’t anything like the hot chocolate we drink today. The Maya would mix cacao with water, honey, chili peppers, cornmeal, and other ingredients to make a foamy, spicy drink. 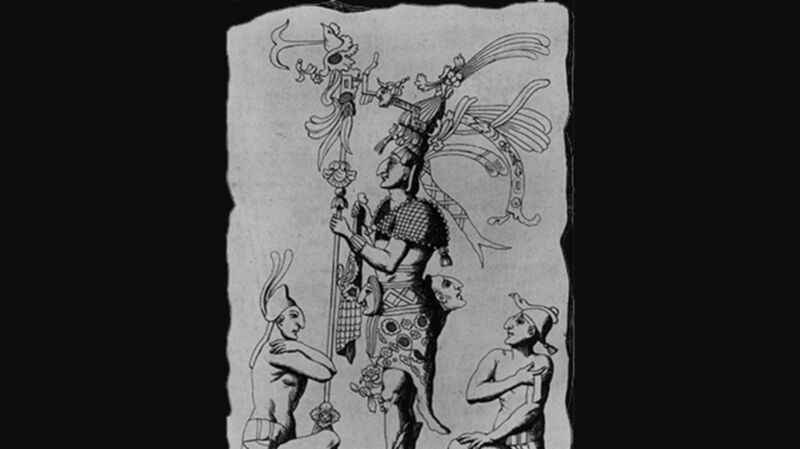 Maya art and hieroglyphs suggest drinking cacao was an important part of celebrations and rituals; the Dresden Codex, for example, shows an image of the god of sustenance K’awil holding a vessel with cacao beans. 3. THEY HAD A COMPLICATED SYSTEM OF HIEROGLYPHS. Mayan writing, which dates to the late Preclassic period (300 BCE to 100 CE), is preserved on buildings, stone monuments, rare books, and pottery. While words in the English language are formed with combinations of 26 letters, written Mayan words are formed from various combinations of more than 800 hieroglyphs, each representing a syllable. The system is thought to be the most sophisticated of its kind in Mesoamerica. Only in the last few decades have Mayanists gained the ability to read most of the glyphs. 4. AN ACCIDENTAL ARCHAEOLOGIST CRACKED MAYAN HANDWRITING. Tatiana Proskouriakoff, a Siberia-born American, trained to be an architect. When she couldn’t get a job in her field, she started sketching for a curator at the Penn Museum in Philadelphia in the 1930s, and she was invited on an expedition to the Piedras Negras Maya site in Guatemala. Despite her lack of formal academic training, Proskouriakoff eventually became a Mayanist in her own right. In the mid-20th century, there hadn’t been many advances in deciphering Maya glyphs. It doesn’t have the sexiest title, but Proskouriakoff’s 1960 paper “Historical Implication of a Pattern of Dates at Piedras Negras, Guatemala” was a bombshell. She was the first to recognize that the Mayas' “upended frog" glyph represented birth and that their “toothache” glyph represented the date the king ascended to the throne, which led to the identification of birth and death announcements as well as the names of the rulers for a Maya dynasty. 5. THE MAYA WROTE BOOKS … AND THE EUROPEANS BURNED THEM. 6. THEIR CALENDAR, WHILE COMPLEX, DID NOT PREDICT THE END OF THE WORLD. There was a lot of talk in certain paranoid corners of the Internet that doomsday, as predicted by the Maya calendar, would come on December 21, 2012. The date came and went and the apocalypse never materialized, but any Mayanist could have told you that you had nothing to worry about. December 21, 2012 just happened to coincide with the end of a full cycle of 5125 years in the Maya’s so-called Long Count calendar. This calendar was impressive because it used zero as a placeholder—one of the earliest uses of zero as a mathematical concept in history. And that was only one of the calendars the Maya used. They also had a 260-day sacred calendar, or Tzolk’in, which was used to plan religious ceremonies, as well as a 365-day solar calendar known as the Haab'. 7. THEY HAD PRETTY INTENSE BEAUTY REGIMENS. The Maya were not content with simply donning clothes and makeup to make themselves beautiful. In childhood, males and females alike had their heads bound to artificially deform their skulls into an elongated shape, which probably signified their social status. The Maya also drilled holes into their front teeth and inlaid them with jade, pyrite, hematite or turquoise. They basically invented the grill. 8. THEY TOOK RITUAL ENEMAS. 9. THEY PAINTED HUMAN SACRIFICES BLUE. The vivid pigment known as Maya Blue has long fascinated archaeologists because it’s incredibly resilient, surviving for centuries on stone monuments even in the harsh conditions of Mesoamerican jungles. But the cheerful color was also used in human sacrifice. When the Maya wanted to please the rain god, they painted human sacrifices blue and cut their hearts out on stone altars or threw them down wells. 10. THEY APPRECIATED A GOOD SWEAT. The Maya built sauna-like structures out of stone or adobe that were used for health purposes and ritual cleansing. Sweat houses have been found at sites like Tikal in Guatemala and Joya de Cerén, a Maya village that was buried in volcanic ash in El Salvador around 600 CE. The earliest known sweatbath was uncovered at Cuello, in northern Belize. At 3000 years old, it predates the famous baths of the Roman civilization. 11. THEY PLAYED EXTREME SPORTS. Ballcourts take up prominent real estate at Maya cities like Chichen-Itza in Mexico. This is where the Maya staged a game known as pitz. Players would try to pass a heavy rubber ball (about the size of a soccer ball) without using their hands while wearing equipment to protect their ribs, knees and arms. The ultimate goal was to get the ball through a very high stone hoop. Playing the sport wasn’t exactly a pastime, but rather an important ritual, and losing could result in human sacrifice. According to the Maya creation story in their epic text known as Popol Vuh, life on earth became possible only after two brother deities defeated the supernatural lords of the underworld in a ball game. 12. THEY MAY HAVE DOMESTICATED TURKEYS. Now a symbol of American Thanksgiving, turkeys may have first been domesticated by the Maya. Turkeys weren’t just used for food; the Maya also used the birds’ parts like bones and feathers to create fans, tools, and musical instruments. Mexican turkey bones dating to the Preclassic Maya period were discovered at the archaeological site of El Mirador in Guatemala. This location was well outside of the species’ range in the wild, leading archaeologists to conclude that the Maya had domesticated turkeys by this point. 13. ARCHAEOLOGISTS STILL DEBATE WHY THE CIVILIZATION WENT INTO DECLINE. The civilization was really hitting its stride at the peak of the Classic Maya period (300 to 660 CE). But things started to go south in the 8th and 9th centuries. Maya cities in the southern lowlands that once boasted populations up to 70,000 people were abandoned. Scientists and archaeologists have pointed to a variety of culprits to explain what happened, including drought, rampant raiding and warfare among Maya city-states, migration to the beach and overpopulation, or perhaps some fatal combination of those things. Sure, many of the great Maya cities were mysteriously deserted, but the people didn’t disappear [PDF]. The descendants of the Maya are still around today, many of them living in their ancestral homelands, like Guatemala, where Maya people actually make up a majority of the population. “Maya” is really an umbrella term for many different indigenous ethnic group who may speak different Mayan languages such as Yucatec, Quiche, Kekchi, or Mopan. 15. THEIR ARTIFACTS AND MONUMENTS ARE AT RISK. In Guatemala and Belize, locals apparently use the word huecheros—derived from the Maya word for armadillo, or huech—to talk about people who loot archaeological sites. Illegally excavated vases, statues, and other artifacts from Maya sites have made their way into the illicit antiquities market, and looters’ tunnels destroy archaeological sites in the process. In one striking example, a pyramid was cut in half by looters at the Maya city of Xultún in Guatemala. In some cases, Maya antiquities have been returned to their country of origin. The Denver Art Museum returned a carved wooden doorway lintel to Guatemala in 1998 when the artifact was found to have been taken from El Zotz, a Maya settlement just west of the great city of Tikal.